Stephanie has been practicing audiology since 1990. 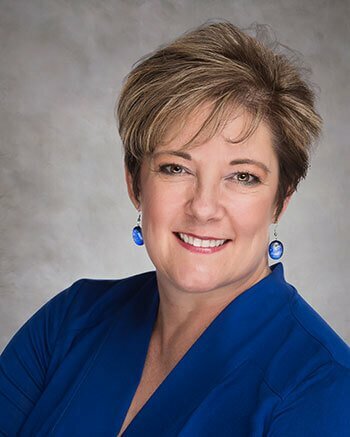 She received her Doctor of Audiology degree from the Arizona School of Health Sciences in Mesa, Arizona, in 2005, her Master’s of Science in Communication Disorders from the University of Texas at Dallas in 1990, and her bachelor’s degree from Texas Tech University, Lubbock, Texas in 1987. While attending the University of Texas at Dallas, she was a teaching assistant and ran the ALD (Assistive Listening Device) Center on campus. For more than 12 years, she was the Audiology Section Head supervising five offices for Cigna in Arizona. Her desire to become an audiologist was inspired by her father, who lost his hearing in one ear at the age of 12. She also watched her grandparents struggle with communication due to hearing loss. Her most gratifying experience was helping a young college student who had normal hearing in one ear but severe loss in the other, and was told that she could not be helped. Stephanie worked with her to find the right hearing aid, and helped change her life. Stephanie hails the “Lone Star State” of Texas. She was born and raised there but has lived in Arizona for 23 years.